AMD has seen fit to release a newer revision of their Polaris architecture with an iterative naming scheme. 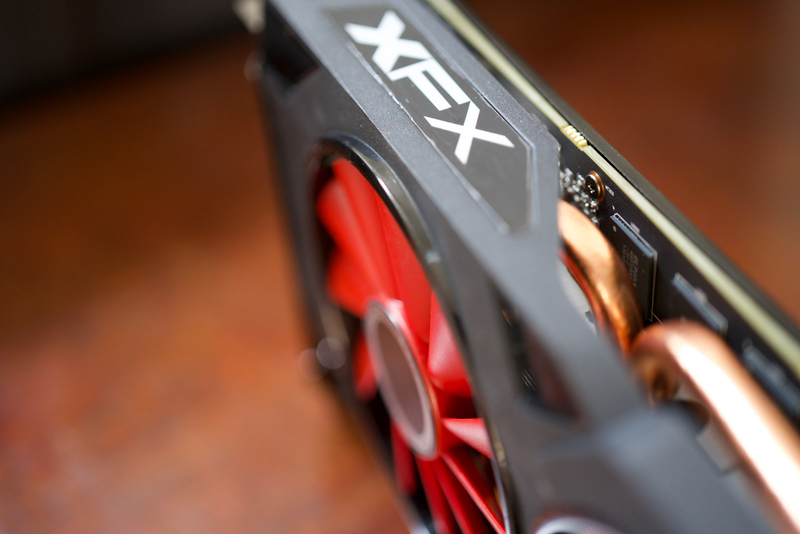 The XFX RX 570 RS is among those, with a slightly higher clockspeed compared to the previous RX 470 and a power consumption that is slightly lower than that of an overclocked RX 470 at the same clockspeed. The result is a slight improvement in Polaris though a slightly larger improvement for the cooling designs by XFX. This particular card exudes an inexpensive quality that makes it an attractive option for the lower to higher mid-range market. But how does it stack up to the old RX 470? AMD’s RX 500 series of GPUs is indeed the re-branding and re-release of Polaris. Though on the inside there have been improvements in the 14nm FinFET manufacturing process that have resulted in lower power consumption and an increase in stability at higher frequencies. That means this is Polaris slightly improved, which will yield a slightly higher performance threshold compared to the RX 470. So despite being very similar, this new generation is just stepping stone and reminder that AMD is not sitting idly by, but putting the majority of their research and development resources into both Vega in the immediate term and Navi in the future. This is to tide us over on the mid-range, and to give a new face to a still new friend. Polaris. Being a lower(ish) end vehicle to graphics mastery, the RX 570 RS from XFX isn’t the most expensive and the materials reflect that. Though that doesn’t mean it’s cheap, per-se. The heatsink is typical new generation XFX, thick enough with copper heatpipes to help with heat dissipation. The fans themselves aren’t swappable, which is a design decision to keep costs down. They are, however, a nice material and provide good airflow for the noise they create, which is not very much. At full tilt, screaming as only small fans can, we measured a clear 60dBa. When set to be automatic the cooler sang along at a very nice 41 dBa, which was more than acceptable. Enough talk, let’s get on with it. Of course our sample, of the XFX RS variety carries a boost clockspeed of 1264MHz, which it can sustain during long loads thanks to the fairly efficient cooler.